Our sterilizable packaging protects your medical device or pharmaceutical product throughout the rigors of sterilization and transportation. For over 40 years we’ve provided high-value, cost effective packaging solutions. If the right solution doesn’t exist, we invent it. We meet and exceed the demands of our customers for quality and service. 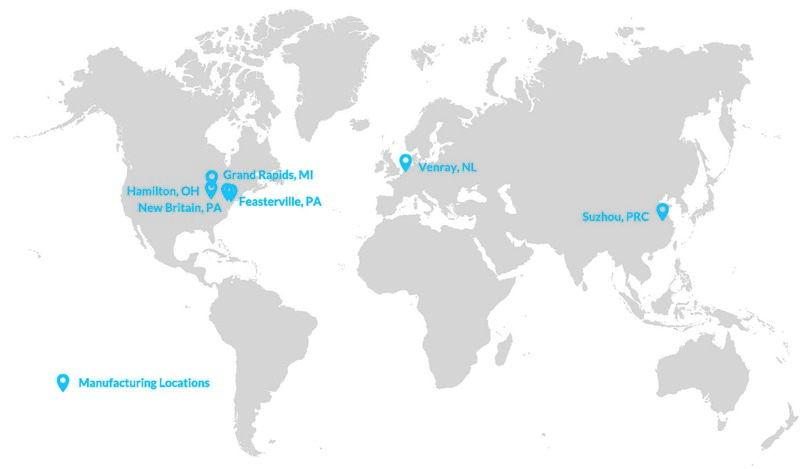 We are headquartered in Grand Rapids, MI with manufacturing sites on three continents. We continue to invest and expand our service and distribution network to bring quality packaging where you need it.